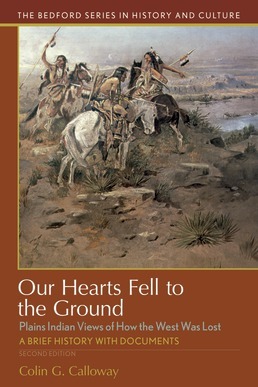 Using primary accounts, speeches, and writings, Our Hearts Fell to the Ground details Native American views of the changing West in the nineteenth century. Gain deeper insight into this portion of U.S. history through the words and observations of the people fighting to maintain their rights and their land. "When We Settle Down We Grow Pale and Die." "I Want to Live and Die as I was Brought Up." "Teach Us the Road to Travel." "Melting Like Snow on the Hillside." Colin G. Calloway is the John Kimball Jr. 1943 Professor of History and Professor of Native American Studies at Dartmouth College. He served for two years as associate director of and editor at the D’Arcy McNickle Center for the History of the American Indian at the Newberry Library in Chicago and taught for seven years at the University of Wyoming. 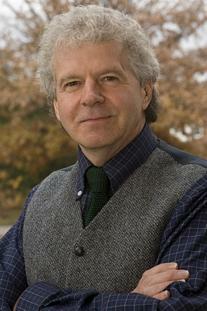 Professor Calloway has written many books on Native American history, including The Indian World of George Washington: The First President, the First Americans, and the Birth of the Nation (2018); The Scratch of a Pen: 1763 and The Transformation of North America (2006); One Vast Winter Count: The Native American West Before Lewis and Clark (2003); and two books for the Bedford Series in History and Culture: Our Hearts Fell to the Ground: Plains Indians Views of How the West Was Lost (2018), and The World Turned Upside Down: Indian Voices from Early America (2016).